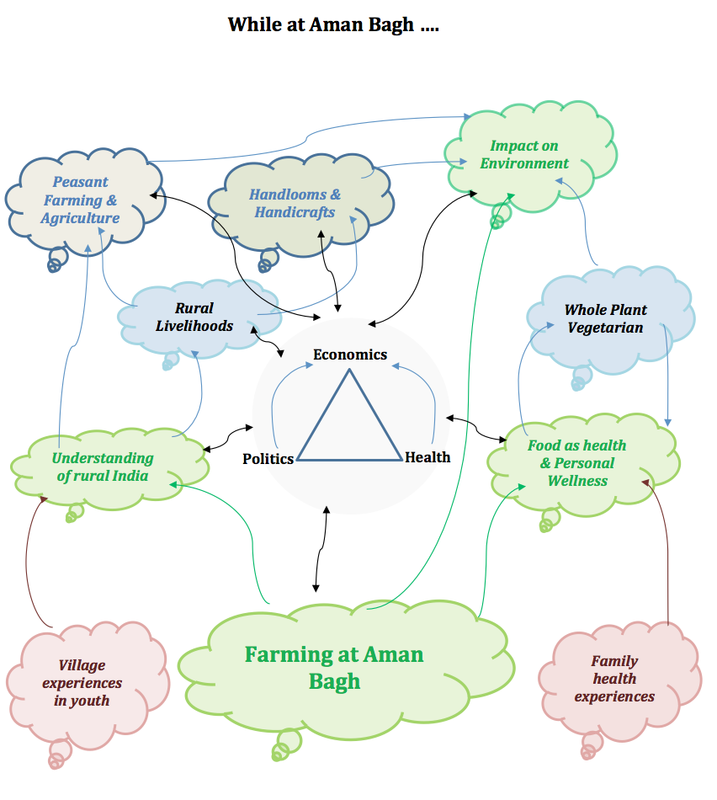 Natural farming has been a journey of self-discovery and transformation since I first applied the sustainable ways of my peasant ancestors in early 2012 on 6 acres at Aman Bagh in south Haryana. My journey commenced with a simple story of ‘No chemicals!’ and has taken me to places I could not then imagine. I have moved from tractor tilling, to bullock ploughing, to partly no-till; from mono-cropping to crop rotation, multi-cropping and green manuring; from annual food crops and the plough-violence that entails on the soil to 50% perennial bio-diverse fruit ‘forests’; from focusing on above-the-soil production to understanding the world of life below the soil; and building the biology in the soil by adding quantities of biomass. 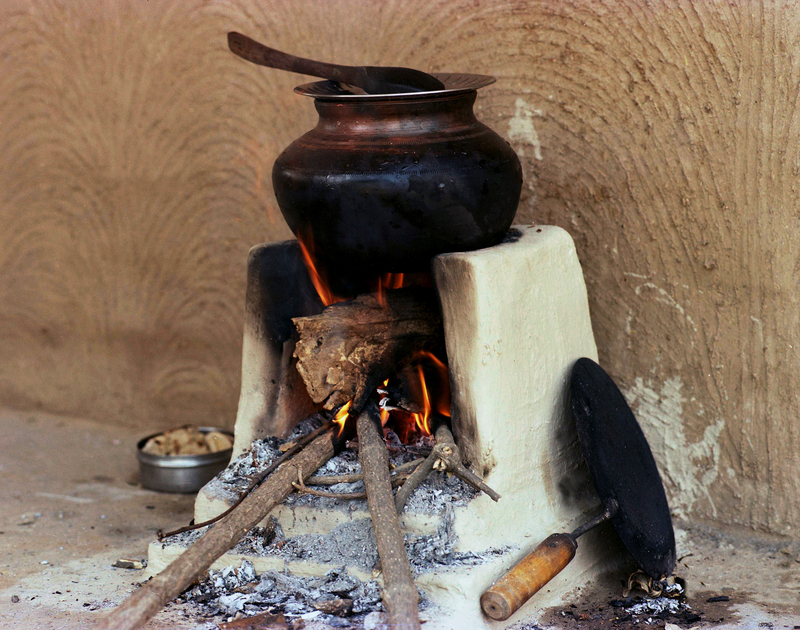 In return for engaging mindfully with the earth, she transmitted to me a heightened awareness of rural India where land is scarce and people many times more than can gainfully live off it; and the reality that the marginal and small peasants, the landless and sundry small artisans and vast army of rural underemployed are yet 65% of our vast population. We will have over 800 million people in the villages even in 2030, when a much greater percentage of us will be in the cities than today. The village is not going away anytime soon in India. I also learnt of the interconnectedness of our terrible inequality with the enormous power of the urban, high-caste elite, as well as the modern corporations managed by this elite, in our consumer market driven economy. I understood the ongoing devastation of handloom and craft livelihoods, the terrifying state of and prognosis for our environment, the intensive overuse of chemicals in growing food in what was so recently an organic-by-default nation, our unhealthy individual food choices in what is the world’s only vegetarian-cuisine nation, and the ongoing destruction of individual health. I have moved in these 5 years from growing food for my body, to feeding my soul. I have learnt farming by absorbing much of what my peasant farmhands have taught me and by integrating forgotten traditions as well as new practices from across the world. My focus is to continue building a community in Aman Bagh that provides a compassionate and supportive work environment for the marginal peasants who work with me, to establish a low-input, bio-diverse, perennial and fossil-fuel phobic farming ecosystem environmentally sustainable in as many ways as possible; a farming system suited to the ecology of my area and to the genius of the food-cropping systems that have been established here for millennia. To paraphrase Gandhi, I have opened the windows of my mind wide to allow in the waft of new ideas on farming, nutrition and food, but I remain rooted in my traditions and will not be blown off my feet. I also find no possibility for the individual awakened to the multiple challenges of agriculture in India to look on farming solely or even primarily as a question of healthy food choices. It is all interconnected. Natural farming has necessarily to be a vigorous political statement opposing the dominance of the market by which the rural (peasant and landless alike) are effectively shut out of an urban-biased system. Michael Lipton stated pithily ‘the village gets the lip service and sympathy, while the city gets the capital’. I address some of these thoughts in another essay ‘Why Do Farmers Protest’. Nothing I write on natural farming approaches and methods in this essay is revolutionary or original; I only document what I have learnt from the peasants who work with me, other natural farmers, from natural systems discovered by reading the pioneers of natural farming, and from my short five years of experiences and mistakes. Gershuny & Smillie state “There are as many different concepts of farming as there are farmers” – these are given multiple names: Jaivic, organic, Rishi Kheti, permaculture, sustainable, biological, and agro-ecology. These all include a wide range of similar methods that enable humans engage with nature to grow food in a mindful, ecologically sustainable manner. ‘Ecological’ is used here in its broadest sense, including within its fold the entire scope of interrelationships – political, economical and social – of all living things with the environment. All the packages of natural practices I mention here are well documented and are being practiced by millions of farmers across the world, including in India. I hope my experiences and practices can serve as a helpful guide to others experimenting or struggling with natural farming methods in a similar ecology. I plan to have a Hindi version of this essay available soon. At the mechanical or operational level, there is no end of the challenges of nature in traditional organic or indeed in contemporary conventional chemical farming. Nature is always unpredictable with water, wind, sun, crop pests, weeds; the work is physically demanding and lonely; farming is not remunerative for any of the hundreds of millions of small-holding farmers across our nation who live a life of subsistence; the markets fail and so does the government in supporting the farmer when he needs it the most; and inputs are increasingly expensive in chemical and fossil-fuel based farming. Every player across the input chain – seed, fertiliser, pesticide, machinery, trader – makes money, and the consumer keeps the price of food down by his clout in the system. Only the farmer loses. My peasant ancestors were hardy farmers over millennia in what was once undivided Punjab and today is Haryana, before they migrated to Bulandshahr & Meerut districts in Uttar Pradesh over the past few centuries as pressure on land in their villages increased. They were the salt of the earth, mostly small or marginal tenants before the abolition of Zamindari post-independence in the early 1950s. Even after that they remained small farmers, only a few owning land more than 5 acres. (Since then, farms have fragmented with each generation and farms in India are on average slightly more than 1 acre). All of them were ‘organic-by-default’ peasants till the late 1960s, and the long-established traditions of tilling the soil enabled them retain the fertility of their land over millennia of intensive farming. After the chemical-led Green Revolution in the 1970s that accelerated over the coming decades they became slaves to the ‘market’, lost their organic connect to the land and have become addicts to chemical poisons from distant factories. The local cycle of environmental sustainability – of growth and decay, as Albert Howard reminds us – was broken and fertiliser, pesticides, seeds, electricity and tractors were supplied to them as resources to exploit the land for production; and the farm became just another factory. I spent multiple long annual vacations in my father’s ancestral vil lage just 100 kilometers from Delhi, though light years away from urban India, till I started to rebel in my teens on leaving friends and city comforts behind. My country cousins remain farmers today, though sadly they no longer follow the sustainable ways of our peasant ancestors. 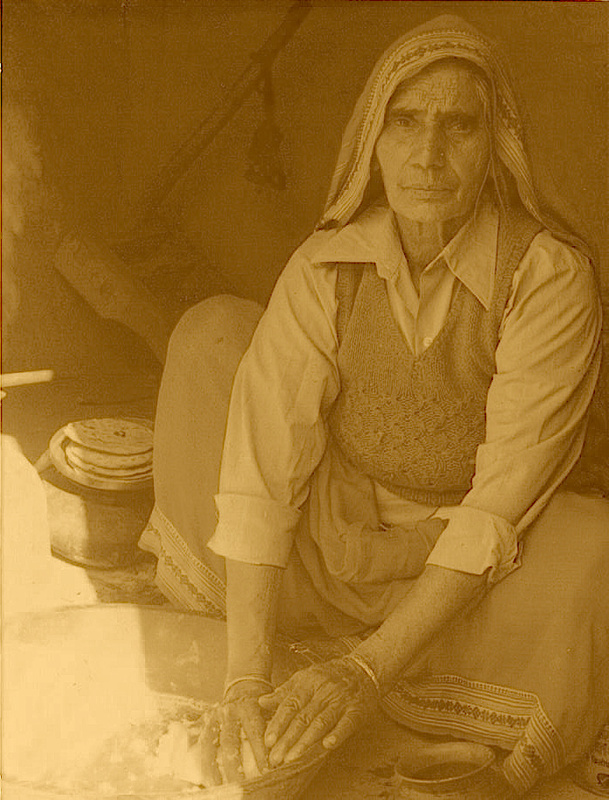 I gained so much from Kartari Devi, my farmer grandmother (her husband died at 50, leaving her 5 acres and little else) a powerful work ethic of incessant work from dawn to dusk, a desire to fight the odds, an independence of spirit, and compassion for the underprivileged. My father Dr. Jai Pal Singh was an academically brilliant man who migrated from the village to become a government surgeon in Delhi. Villagers from scores of miles around Delhi flocked to him knowing they now had one of their own in the unwelcoming city. He never let them down; they were provided priority in his hospitals in every way he could provide it. When he did briefly practice privately after retirement, he operated for free on villagers. We had a constant stream of village relatives and community (of all castes) needing medical assistance, he undertook the marriage of many rural cousins, and in general was the pillar of strength in that family. Hence, the rough-hewn peasant, in his white simple Khadi (handspun and hand-woven) clothes, with his colloquial language and laconic sense of humor, is diffused sympathetically in my imagination. A peasant was always family, a hero who stoically battled the elements to feed the world with little returns for himself, and not an unshaven ‘ganwar’ (village buffoon) as city friends generally believed. My maternal grandfather was Charan Singh, the pre-eminent peasant leader and rural intellectual of independent India, and the deep imprint of his simplicity, exemplary personal character, personality and thoughts will need a separate essay. His father was a 4 acre tenant farmer for a local landlord-Raja in 1902, which explains Charan Singh’s understanding of the life of a self-cultivating peasant. I was 27 when he passed in 1987, after I had spent the last decade of his life spent in Delhi basking in his vast, loving and motivating presence. He influences me now at another level as I comprehend and protect for posterity his vast intellectual heritage (over 10 books, and numerous other writings for example) on the imbalance between rural and urban India, of the meaning and methods of Indian development, his prescription of agriculture first and last in India, handloom-handicrafts and other village and small industry as the solution for rural livelihoods, and appropriate large industry and technology (in that sequence) as a sustainable and equitable path for India’s masses. 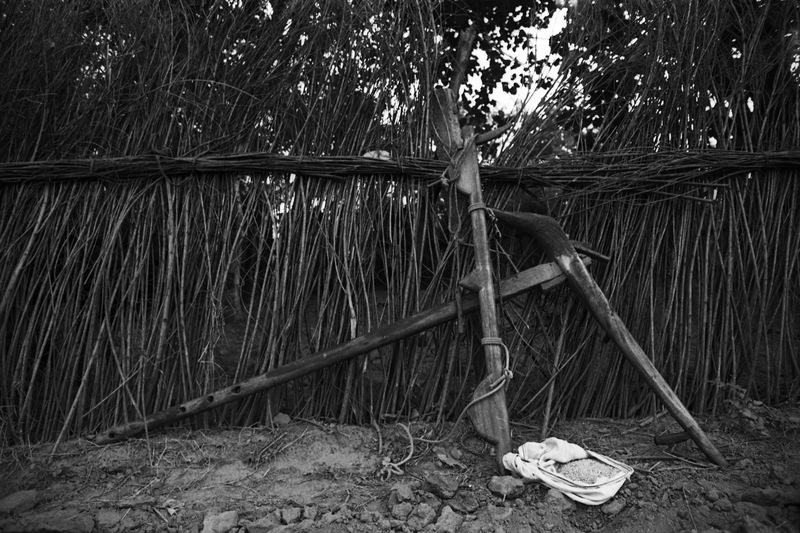 He wanted people to move off agriculture as soon as society could afford this, but they had to have something productive to do while they were in the village (hence agriculture for the peasant, and non-farm employment for the landless) and something to do when they reached the city (he predicted India would always have large numbers in the village as there just weren’t enough urban jobs for our multitudes). He stood for small peasants, organic farming methods, small irrigation projects, small industry; green before his time. He understood India like few did, in its vast diversity within the unity of agrarian life. This connect with rural life in my younger years, and my involvement with political thinking as a way of life, established a life-long intellectual engagement with the central idea of widespread inequality and the rural-urban conflict. While I hold a visceral and emotional connect to the sounds, smells and the language of the village, I realised early on in my youth that the village was a den of inequality and exploitation through the multiple uniquely Indian divisive and controlling forces of caste, patriarchy and religion. I transcended the deep divide of religion for myself when I married a Muslim girl in 1985, through whom my mind was opened to transcending the insidious ‘single story’ of the Muslim as a Muslim. I was slowly able to construct my own stories of the many identities that Muslims inhabit, and nothing I see there today convinces me any religion including of course Islam has the better solution. In India though, we have to engage with religion if only to know how to deal with it. The futility of the ideology of religion, and their unique rituals, gods, prophets, superstitions is yet another essay. When I decided to break decisively from corporate life in the information technology industry in 2011 – I was 51 – farming was a natural destination. I thought farming would be occupying, keep me in natural and healthy surroundings and I would grow clean food for the family. These were all relatively simple expectations, and all came true. But nothing could have prepared me for the complete change in worldview that this reconnect with the ways of my ancestors has wrought. This entry was posted in A Day in The Life, Rural Village Life. Bookmark the permalink. Harsh, inspirational and very well written as usual. Need to get it out in book form. Love to all. Harsh Thank you for putting this out for us all to read and learn. Your journey is more complete than a lot of us urbanized individuals who think that we can make a difference with our small dabblings into keeping farming in India natural, healthy and provide occupational opportunities. I have read the introduction and will savor the next part later at leisure to better enjoy and appreciate your journey, education and your knowledge gained in the last 5 years. Bravo on this writing and thank you once again for sharing.